We may not be perfect – but perfection is our goal. We may fail at times – but victory is our goal. Occasionally we may lose heart – but a courageous life is what we strive to live. You see, it’s not about one of us men individually but it’s about men who love and follow Christ coming together in unity. As a whole we are able to stand. We draw strength from each other as we encourage and pray for one another. There is power in what the Word of God says…. We are not some secret society or organization with hidden and secret ideas. 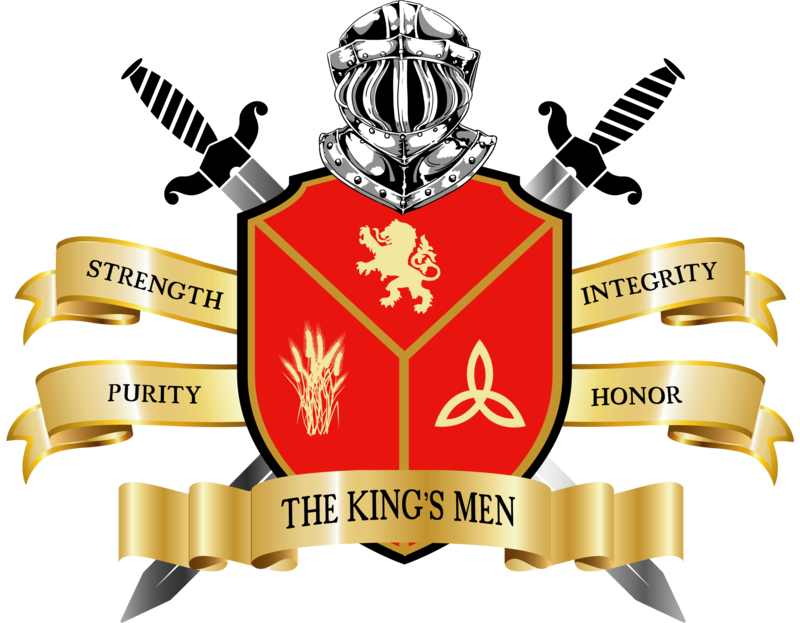 The King’s Men is a group for any Christian man who wants to be surrounded by, encouraged by, and challenged by other Christian men to freely attend and participate. We will fight this fight together, shoulder to shoulder – shield to shield – until the battle is won.